It’s truly heartbreaking what’s going on in Houston and throughout Texas right now due to Hurricane Harvey. However, I’ve never been more proud to be from Houston. We are seeing the worst of mother nature, but the best of human nature. Thank you guys so much for checking up on me and my family. It means a lot. We are good so far. I know a lot of y’all are wanting to help, so I’ve compiled some ways you can help. 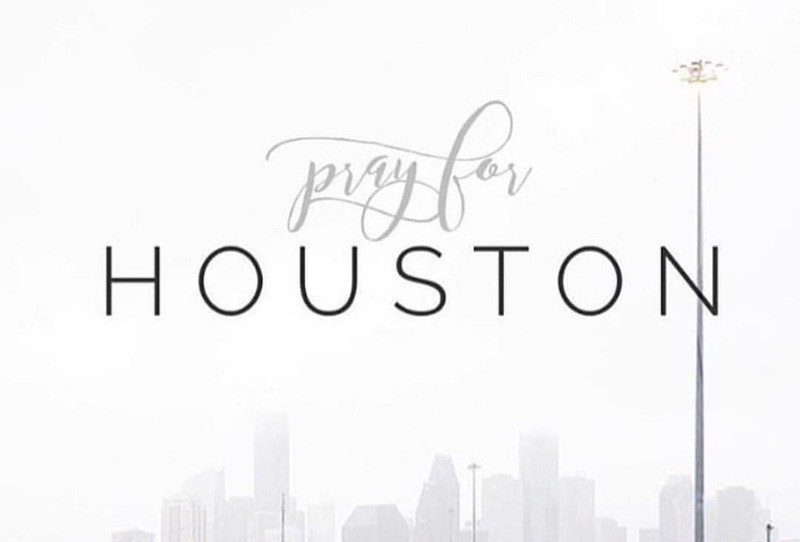 We are Houston Strong, and we are all in this together. Salvation Army: Visit www.helpsalvationarmy.org or call 1-800-725-2769 to donate. Shelters all over Houston need clothes for victims that have been rescued from their homes. Most had to leave behind their belongings and don’t even have dry clothes. Please bring items to shelters in your area if you are able to. Comfortable clothes- sweatshirts, sweatpants, socks. Diapers- not just baby and child diapers, our elder needs these too. I would also like to take a moment to thank our first responders. Our police, firefighters, media personnel, emergency crews, and volunteers. Y’all are true heroes and Houston can’t thank you enough. Stay safe out there & continue to pray for our state!